Among other things, this repository includes the only known screenshot of the never-completed Nintendo Entertainment System version of Street Fighter. 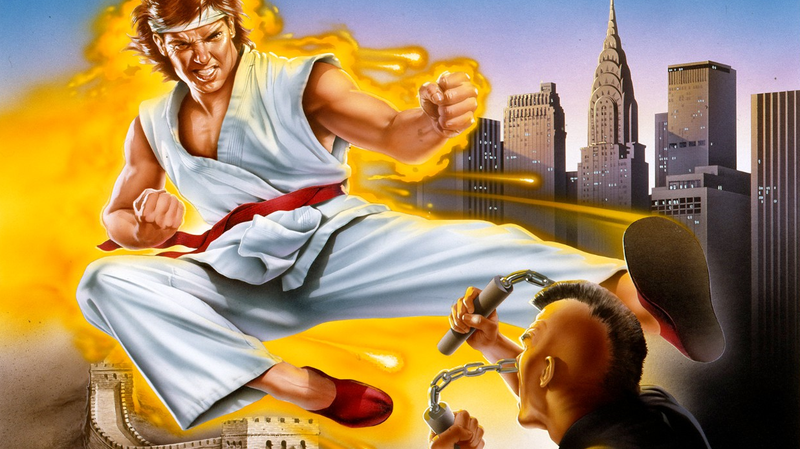 That’s right—the first Street Fighter almost had an 8-bit NES version. The first Street Fighter ended up being ported to the Commodore 64, MS-DOS, TurboGrafx-16, and other platforms. The difference is night and day, but it’s still interesting to think of how an NES version might have turned out. The NES wasn’t known for its 2D fighters, but there were still some decent ones like Teenage Mutant Ninja Turtles: Tournament Fighters. The 30th Anniversary Collection museum, which Cifaldi worked on with Digital Eclipse, the game’s developer, includes a lot of other interesting stuff as well like pitch documents and concept art, as well as a helpful timeline of the entire series’ development over the past three decades. For instance, the first version of Street Fighter II was supposed to take place on a single island and didn’t include Ryu or Ken. However, the ROM chip shortage of 1988 led the project to become something that would require less memory, which ended up being the first Final Fight game. Meanwhile, the concept art in the game’s museum ranges from polished promotional art to extremely rough character sketches. One shows the evolution of Vega from a hulking grappler into a a catlike fighter sporting his now iconic metal claws. In all, Cifaldi says there are approximately 1,000 pieces of lossless, high-res art stored in it, with some of them so detailed you can make out the individual pen marks and texture of the paper.